The vine covered arbor archway welcomes you to this classic yet modern home. Built in 1937 this home may seem humble in size compared to those around it, however it is quite deceiving boasting 4 bedrooms and 4 full bathrooms across over 4,000 square feet. This home may be a piece of history but it has been updated with every current luxury. Updates to his home include but are not limited to double wall ovens, a natural gas cook top, custom solid wood cabinetry, granite counter tops, and also a new secondary refrigerator. This lovely corner lot home has an expansive front yard, providing plenty of room for children to play. Less than two blocks away from this home is Delray Beach’s Atlantic Avenue, providing residents and visitors alike with a vast amount of entertainment. From local boutiques to delicious restaurants and exciting nightlife Atlantic avenue is sure to have entertainment for all ages. Also just minutes away are Delray's pristine beaches, some of the finest golf courses in South Florida and so much more. 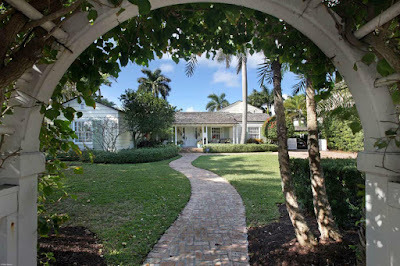 Delray is a lively town full of exciting things to do and see.